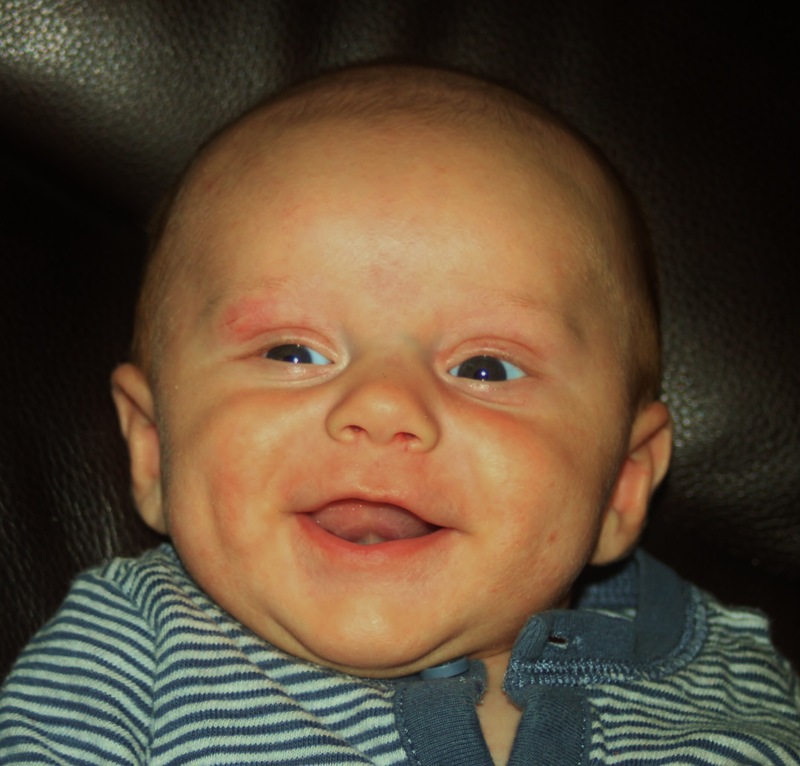 Our Ty Baby is just over 7 weeks old now, and he is starting to work on that super cute smile of his! And thank goodness because I needed a nice little pick-me-up as I’ve been struggling to survive lately. So, in an effort to acknowledge and focus on the good, I wanted to share this gem as I was able to capture one of Ty’s first big smiles on camera! Happy almost Friday!!! PS. Here was Rex’s smile post last year! He is such a keeper! Hang in there! !